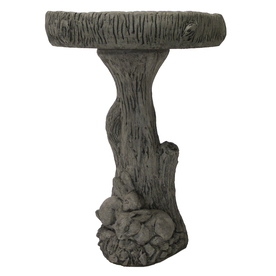 This concrete birdbath is clearanced to $15.60 around here. 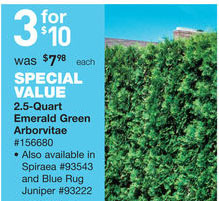 Mini pine trees are $3.33 this week. I nabbed two and a blue rug juniper. At Ikea I bought two $2.99 house plants. Their houseplants are larger and cheaper than Lowes or Depot. Is the candy bar new? I was buying meatballs and this was tempting me away. KMart is giving away coats. All coats marked $7.99 trigger 100% back in points. I bought one as a trial and the points were there the next day. What about you? Any interesting retail experiences to share?